Nova Expansion Joint cover are designed to withstand the movement of a building in a stable manner. The goal is to prevent damage to both the external and internal finish of the building. Expansion joint covers are ideal for allowing movement caused by temperature changes within the structure. In order to make the building safe and prevent damage, in case of movement expansion joints will be required. Novaproducts has a wide range of expansion joints ranging from floor, wall to roof expansion joints. For pricing and quotation please contact us. An engineer will have to look closely at the land seismic movement, this has a substantial impact on the building thermal expansion movement. Another factor is the building stress that comes from wind load and kinetics within the building. Further factors to take in considerations are the fire and smoke control, hygiene, cleaning floor finishes further, is the floor expected to move then the walls and ceilings also needs to be considered. In most cases there will be a floor, wall and ceiling variation. Vinyl Floor Joint Cover are made into forms. UK made coExtruded Expansion joint covers usually have a soft middle to absorb movement. This product is imported for each project and is largely used for a +-2 mm vertical or horizontal movement. The Australian made Mono extrusion has limited functionality and is not recommended for slab joints with known movement. These product typically tend to absorb only the vertical slab movement of +-1 mm.Both of the above mentioned product are PVC expansion joint covers. 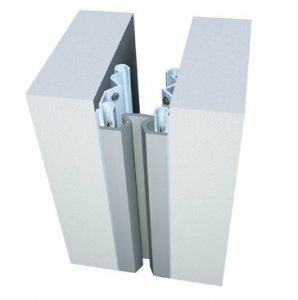 There are more substantial product such as half lap aluminium expansion joints available for surface mount requirements. Fully engineered significant joints are also available. Please send your engineers specifications, surfaces/flooring details, traffic types to us and our engineers will specify the suggested joints.